Manufactured by The Flightcase Warehouse. 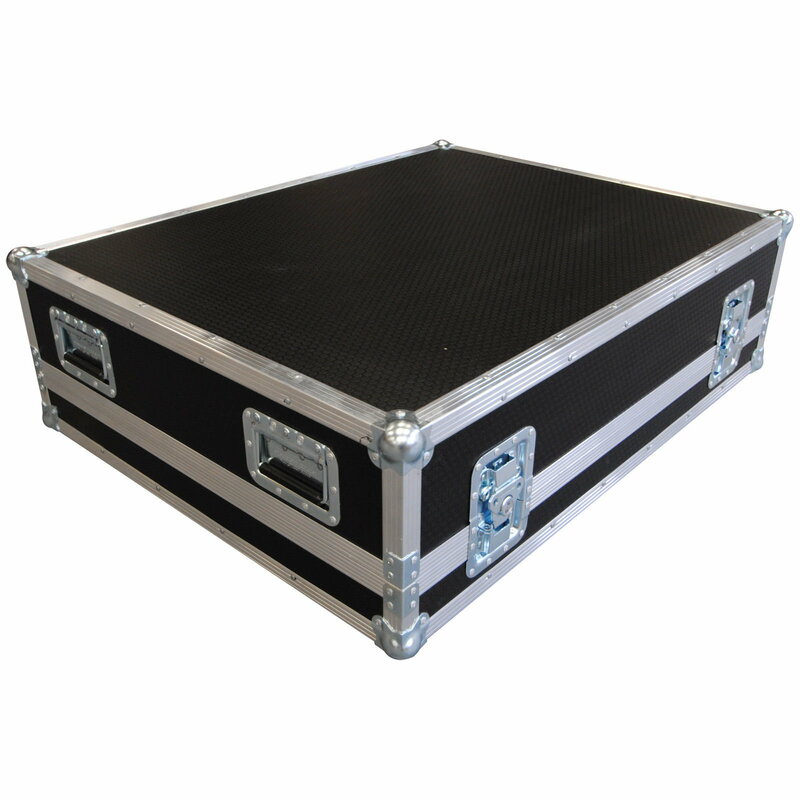 The Flightcase Warehouse custom mixer case is a custom built flight case designed to protect your mixer whilst on the road. This flight case is designed in house by our design team and manufactured using Penn Hardware with ultra strong hexaboard panels. Our sales team is always on hand to discuss your requirements if this flight case spec does not meet your needs. FCW offer a life time guarantee on custom built flight cases. Please specify make and model of mixer in special instructions when ordering. All of our mixer cases are designed and built around the equipment to ensure maximum protection while keeping to the minimum size, which means the case is no bigger than it needs to be. ETC Lighting Eos Lighting Controller Flight Case 4.85714285714286 out of 5 based on 7 ratings. 7 user reviews. Quick delivery, well made case for our mixer Allen & Heath GLD112. Great value for money. Thank you. Excellent quality case Yamaha TF3 fitted like a glove with lots of foam cushioning, I would recommend this case to anyone who buys this mixer. First rate service delivered well within the time estimated. Great quality case for the money. Highly recommended. Good quality case, the mixer fits like a glove. Only comment I would make is the side cheeks at the back need to be cut to a height of 35mm in order to allow better ventilation when the desk is being used in the case. I have made this mod and chamfered the edge on these so the desk goes in and out more easily. Otherwise great case. Many tiny tiny problems with payment and delivery delays (waiting about two months) but in the end, I'm really satisfied. Great manufacture, strictly sharp dimensions, really safe foam protection, etc. even a little tiltable hinged opening that allows you to plug phones in your Presonus 24.4.2 when it's still in the case ! Safe and affordable !